Fall is my very favorite season of the year. The whooshing of the leaves, the cool crisp air and cozy sweaters all make me smile! 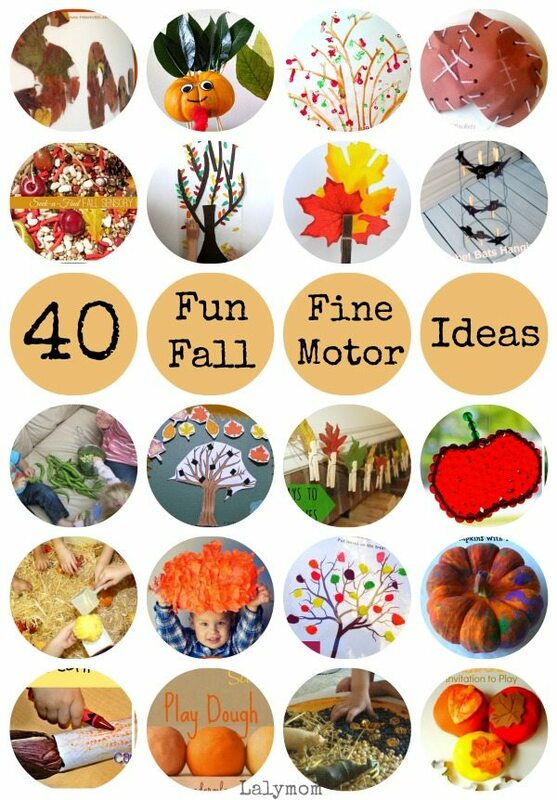 So it is no surprise that today I am combining my favorite season with my favorite type of activity- fine motor activities! 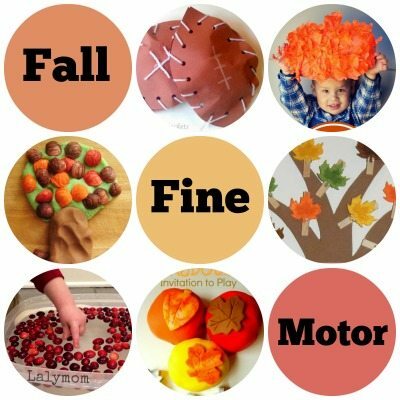 Each fall themed fine motor activity below will help work the little muscles of the fingers and hands in different ways. Pick out a few that seem fun and spread them out over the season. 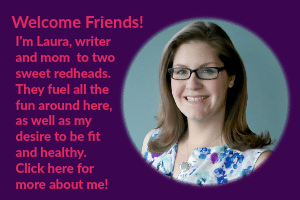 Stick around each of the blogs below too, they each have lots of fall inspired activities aside from the ones mentioned. Woo! So much inspiration to kick off the fall season! 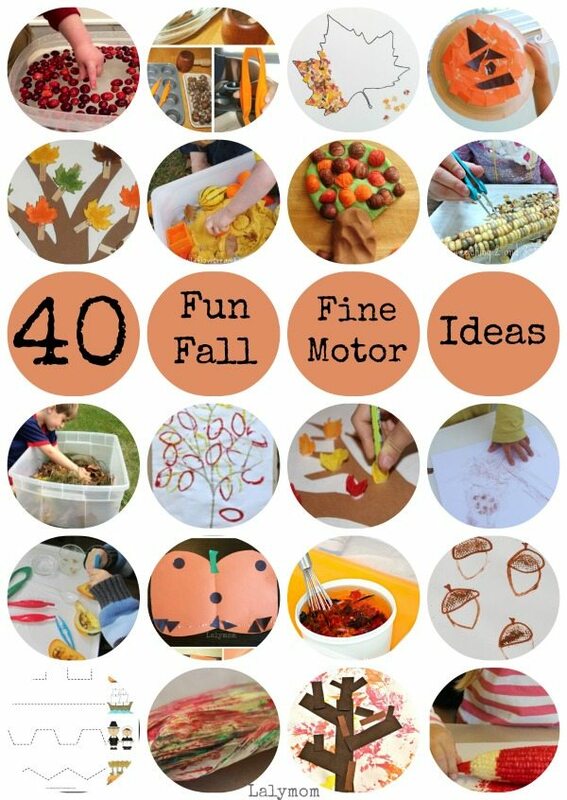 I hope these fall fine motor activities help you have a colorful, crisp- and FUN- fall with your kids! You bet, I love those posts! Several of my kids have struggled with their small motor skills during the early elem. 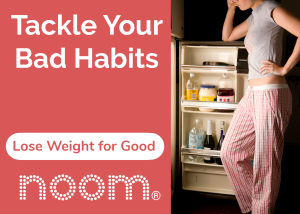 years so these kinds of activities are great for my younger ones to help reduce that problem as they get older.